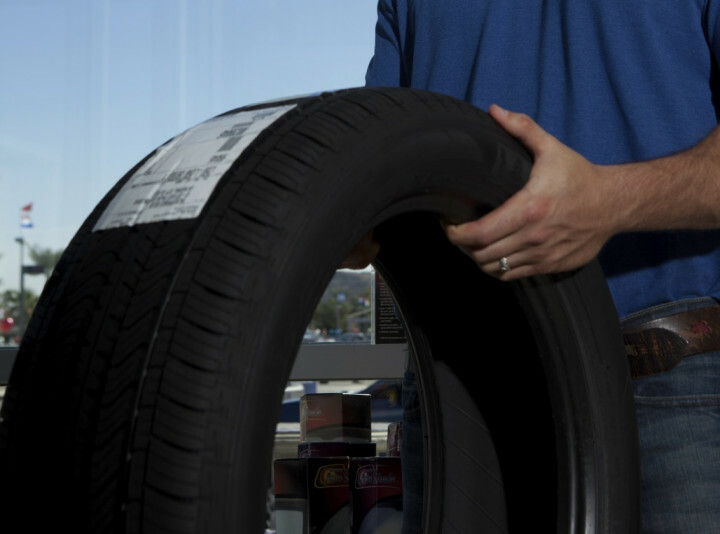 This online Manual Handling Including Tyres training teaches you all you need to know about Moving and Handling safety and includes a specialised section with specific techniques for moving and lifting TYRES. Work towards compliance with current legislation with our CPD accredited course. Being competent in safe Manual Handling is a legal requirement for your workplace, and this course provides everything you need to know - specifically addressing the task of moving and lifting tyres. This Manual Handling course introduces the importance of safe manual handling in the workplace; essentially, this means the task of moving, lifting and transporting potentially heavy objects. It covers safe techniques for moving and lifting (including LITE), as well as looking at the anatomy of your back - helping you understand why it is so important to adopt best practice for lifting heavy or awkwardly shaped objects. An estimated 909,000 working days are lost every year due to poor manual handling techniques. Poor manual handing also contributes to around 24% of injuries reported to RIDDOR. Ensure best practices and understand responsibilities for both employees and employers with our online course - It only takes 40 minutes to complete! This course is an extended version of our best-selling Manual Handling Training programme, and is particularly suited to those working around tyres; whether it's mechanics, tyre manufacturers or fleet managers. The Manual Handling including Tyres Training course is broken down into 5 sections. In this section we look at how our backs work and how poor Manual Handling technique can cause and contribute to illness and injury. What is the LITE procedure? LITE stands for Load, Individual, Task, Environment. These four things are all important whenever you prepare to lift or move a load. You must assess the potential problems before you start! This section contains step-by-step guides to safe lifting, including lifting from the floor, lifting from waist height, team lifts and pushing and pulling. This is the specialised section, specifically added to cover lifting and moving tyres. It includes small tyres, large tyres and tractor tyres, 2-man lifts and team lifts. This is the final slide before the test. It summarises the training and emphasises that it doesn't matter where you lift - it could be at work, it could be while you're out somewhere, it could be while you're at home - but wherever you are you need to put proper lifting techniques into practice, or you risk seriously damaging your back! This Manual Handling including Tyres Training course concludes with a 20 question multiple choice test with a printable certificate. In addition, brief in-course questionnaires guide the user through the sections of the training and are designed to reinforce learning and ensure maximum user engagement throughout. Your Manual Handling Including Tyres Certificate includes your name, company name (if applicable), name of course taken, pass percentage, date of completion, expiry date and stamps of approval or accreditations by recognised authorities. Based on 13 real user reviews. EASY TO USE, AND CLEAR. This is a very useful and informative course, it not only helps out at work but in your personal life also. The information is clear and memorable, then the test is easy and has a little sense of humour too. A little too long / time consuming. Read our full reviews for Manual Handling including Tyres Training. The Manual Handling Operations Regulations 1992 or MHOR defines manual handling as "Any transporting or supporting of a load by hand or bodily force", this also includes lifting, pushing, putting down, pulling and carrying. They are a set of regulations designed to reduce the risk of injury to workers when manual handling by as much as possible. Council Directive 90/269/EEC of 29th May 1990 on the minimum health and safety requirements for the manual handling of loads where there is a risk particularly of back injury to workers. It is important to emphasise that the training contained in this programme is invaluable not only in the workplace itself but for general everyday use outside the workplace too. After all if a member of staff injures their back no matter where they are they may need time off work and it may affect their general fitness in the short or long term.